Ah yes the summer has begun to let go of its hot-grip on the sun-baked vineyards on Red Mountain which overlook Benton City in Washington State. The name comes from the red-hued native grasses which are abundant in the area. Hard to believe it's September, but even the most casual observer can see that the harvest approaches. Grapes have turned color, the neat vineyard rows are laboring under the heavy weight of low hanging fruit. The birds and squirrels are growing restless, waiting for the right opportunity to get their share [despite the netting] and some say that only the deer really know the day and time for the optimum time to pick the grapes, something I've heard over the years [feel free to scoff]. If you have ever dropped by a vineyard during harvest; you can usually see the hustle and bustle in the vineyards, fork-lifts full of ripe fruit rushing about, picking-teams working the rows, these are some of the scenes you can take-in from the tasting-room parking lot. But what you can't see from that limited perspective are the winemakers in the vineyards attempting to determine or in some case divining "phenolic ripeness" counterbalanced by "physiologically ripeness". Yep there's a certain amount of chemistry which needs to be determined before you can run willy-nilly picking grapes and just hoping the wines will turn out the way you want them to, they are making executive type decisions everyday and getting the grapes picked is just one piece of the pie. The winemaker is many times like a field-general; working with the weather, getting the pick teams in place, deciding when to pick Syrah or Merlot or taking the gamble on a pick-hold. It's precisely these various pieces of the pie I want to shine a spotlight on in my own grape-to-glass experience. An experience I want to invite you my readers along with me on the wine-soaked journey [pick me, crush me, make me wine]. 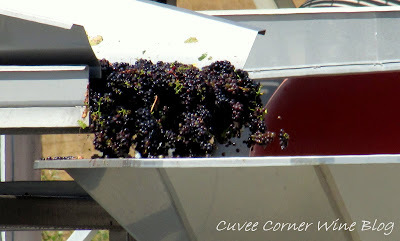 As many of us [vino-sapiens] know harvest and subsequent crush are the busiest times of the year at wineries around the world; on Red Mountain it's no different. But this year there will be one difference; a winery there called Terra Blanca has invited me to participate in their harvest, to see first hand what really goes on behind the scenes in the berry-to-bottle or grape to glass action that many folks rarely get to see, let alone the even more rare opportunity to actually participate in the action. If you're not familiar with Terra Blanca Winery located on Red Mountain; they were one of the winners at last years Red Mountain vs. Paso Robles Smack-Down Challenge hosted by the San Diego Wine Mafia. If you have not seen the story pop on over to the La Jolla Mom page and get all the juicy details on the blind tasting. 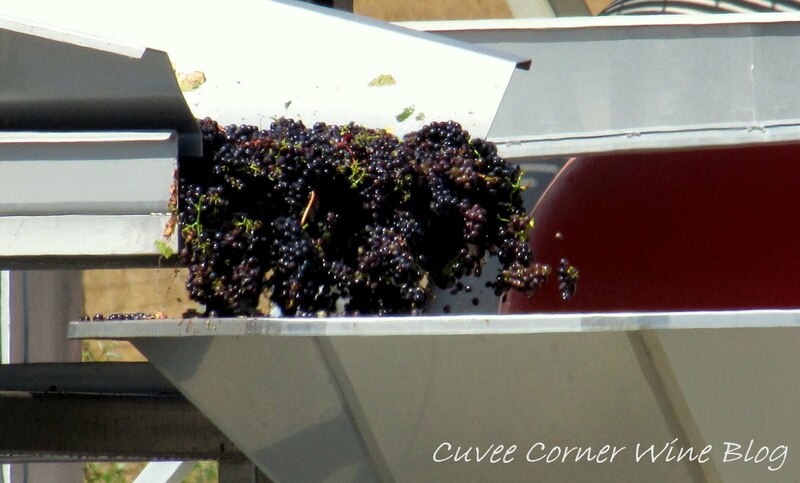 This year's harvest at Terra Blanca will be reported on live in and in person by "yours-truly". Yes, I will be getting my hands dirty, possibly even breaking a sweat, while I get up close and personal with this years harvest. In fact I will be recording a video each and everyday I am on "location" [embedded with the crush crew] and uploading it to my channel on YouTube, so please stay tuned [start looking for this daily coverage to begin on October 2nd]. Watch this wine blogger get crushed, until next time sip long and prosper, cheers!